How do you get a steady supply of winter eggs on the homestead? I have gotten a few questions from local newer folks that are asking, how do I get my hens to keep or start laying eggs. This is a slight rework of a post I put up before. It covers all the big main points for you.. Most folks talk about Light and how it effects laying and it does, and its important for sure.. Darker hens have more trouble with this then lighter hens typically, they need even more light.. but all chickens if left to natural lighting and the shorter daylight hours that come with winter in Canada are going to slow down and in some cases stop laying eggs. Yes, you read that right.. STOP LAYING eggs.. and if you are on a true natural cycle, you will just let them do that, they provide a glut of eggs in the spring, lay though the summer and slow down in fall and then they will after the age of two or three move from taking a 2 to 4 week slow down to a 4 to 6 week stop and break all together, my oldest hen on the farm is coming 8, she earns her way not by the eggs she lays but because she is one of the best sitters and hatchers and momma hens on the farm. Light: Yup, just like everyone else, I am going to say if you want your girls to lay thought the winter, you need to add light, but do not be afraid to think outside the box.. some folks are very successful at moving their hens to their unheated greenhouses during the winter, this helps you get every light bit you can, and keeps the heating (if you choose to heat) to a min and has the added bonus of them both cleaning and adding to the soil. but I recommend that if you can, take your chicken light needs to solar, We have a solar powered light that collects during the day (when the birds have light) turns on in the evening as it gets dark and runs for about 4 to 5 hours on a winter charge, this is the best of three worlds, I use what natural light there is at all times, The light turns on by itself as it gets dark and the extra hours means that my birds get at least 12 hours of light even in the dark of winter and third, I am still on the same solar powered lights for the chickens and the big barn coming on 7 years, given that I got them on sale for 29.. that’s at power cost of 4 dollars per year to power a building.. if I was doing that at my local power costs.. it would be a lot more. Protein: that simple word that is just not so simple in real life.. you can go buy layer feed, it will have lots of protein in it.. mostly from GMO soybeans but its there.. or if you have a few chickens, you can pay though the nose for organic.. good for you if you can do so.. but most of us are on a budget.. So we are using a basic grain feed that is going to be a mix between 9 to 13 percent protein, it will get your birds though the winter but it will not be great that’s for sure.. and those lower protein will effect your layers. 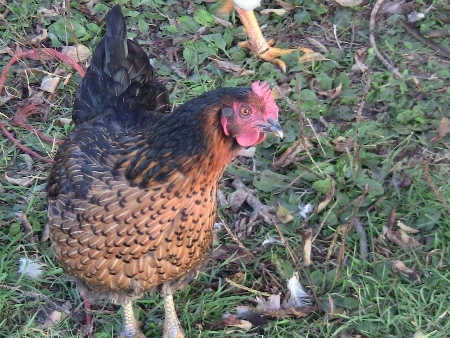 So you can do a number of tricks, you can grow fodder, if you have a small flock, its quick and easy enough to do and it will increase the basic amounts to the need levels, you can hard boil and chop back a egg into the feed to increase the protein count, if you are doing small critter butchering on the farm in the winter ,like rabbits, you can give the leftover bits to the chickens and they will pick them clean, you can grow meal worms or red wiggers and once a week toss a handful to them, crickets are another choice I know that someone grows for her birds, I personally do fodder, meat scrapes and meal worms. In a total pinch, I know folks that just toss them a handful of the dried cat food to give them that boost. Age: this is a great trick and when done correctly it works like a charm, keep the ages of your flock moving, if you have spring hatched hens that are young pullets that are coming into laying in the fall, early winter, they will start and as long as you meet their feed and protein needs they will continue to lay all winter, but be aware that they will take a spring break and first adult molt. but if you have older hens, they will have done a fall moult, a winter slow down and they will cover for your young girls in the spring..
One more reason to love ducks : LOL, no really, ducks are so good in so many ways, when the hens hit that hard winter slow down.. no I will not lay for you if they are older, the duck hens are out in crazy cold but sunny temps and she will start laying weeks before the chicken will stop looking out at the snow and giving you the eye, that says, make it stop and put another layer of fresh hay out there if you think, I am going to even think about going out of my hen house. I have 5 new 2016 born pullets of coming up to layer age and this week has been exciting, so far three of those little girls have started laying. Did you raise up new chicks this year, are you heading into winter with a young flock that will lay for you, or are you heading into winter with a older flock of hens that are going to slow down a lot. If so do consider putting up some extra eggs while you have them for both eating and baking.. Beat a dozen eggs together till lighter in color, add a tsp of sugar for ones that you want to bake with a tsp (or half a tsp but please do add some) salt and beat it in and then pour into ice cube trays, freeze them hard then pop out, one cube is one egg, double bag them into ziplock freezer bags (it must be double bagged) and it will keep for three months with ease. Just take as many cubes out that you want, put them in a covered bowl in the fridge and thaw them and use. For regular storage of eggs, just remember if you washed it, fridge, or freezer storage as above, but if you its a clean egg with natural bloom on, you can store it at cooler room temp for weeks (and per my tests, more like months) without much issue. Question from a reader: what about if the eggs get frozen? if you bring them in a solid state, you can thaw them in the fridge for a bit and then scramble them to be feed to your hounds, purrpots or back to the chickens once cooled down. What you can’t do is, let them thaw and then hold them for use, because once frozen, they are cracked in the shell, but you can not waste them. When dealing with older eggs.. I highly recommend these two tests that go together..
a) float your eggs if you are suddenly using a bunch of them, or if you found a clutch in summer, that has a unknown age into a bowl or pot of water, if they sink, fresh, if they half float, older but still good typically, and if they float, they are bad.. 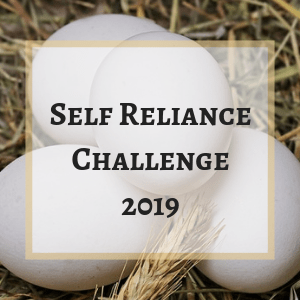 This entry was posted in Chickens and tagged chicken tips, Chickens, Egg laying tips for winter, Eggs in winter, homesteading with chickens, How to keep getting winter eggs, Keeping your hens laying in winter. Bookmark the permalink. Lots of good information here! I am going to look into getting a solar light, and also adding the protein. My hens quite laying a month ago, and are just starting again. Also love the idea of freezing the eggs for baking, when I have extra. Thanks for all the tips! I am glad you enjoyed todays post 🙂 Thanks for letting me know and hope your girls start laying again very soon. About that last tip … Just about every time I crack an egg into where it needs to be I find a bit of eggshell. 😀 … it’s Murphy’s Law! You sound very experienced, and I’ll start following your blog. I learn something new about my little flock every month or so. Having a new generation to cover for the older ones is an ongoing surprise in how they all interact. The good thing is that I will write about it all.. the things that have proven themselves time and again, the things that sort of work and the things that don’t.. Welcome to the blog 🙂 I am and have been reading and following your blog for a while now..
[J] Good advice – all of it, and certainly for home use. However it’s right to point out that in most jurisdictions, if you’re supplying eggs to others (for a price or free, regardless) there’s typically much tighter rules to follow, certainly including what the birds are fed with, welfare, housing, also the age, storage, labelling of the eggs. The rules are I guess necessary because there are, alas, all kinds of folk out there! Ps, I think everyone try’s to give only the freshest cleanest eggs for farmgate sales.. I hope that no one is using older eggs for that..